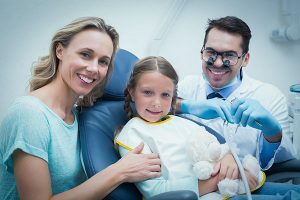 Dental anxiety is a common feeling among anxious dental patients, especially in children and new patients. A survey in the UK found that 36% of those who do not regularly see a dentist name fear as the main reason. Dental fear is a problem that needs to be approached head on, as your oral hygiene is one of the keys to your general health. Because your mouth is the gateway to your body, it also affects your overall health – if your mouth is in poor shape it can lead to inflammation elsewhere in the body and even diseases such as chronic obstructive pulmonary disease (COPD) and pneumonia. While some dental hygiene practices can be practiced at home, you still need to see your Deer Park dentist at least twice a year. So, regardless of why you might have dental anxiety, it is critical that you overcome it. With this in mind we here at Smart Smile Dental thought it would be worth examining the strategies and techniques you can use to overcome dental anxiety. Kids through senior adults can fear the dentist. Fears run the gamut from claustrophobia, to anxiety over past bad experiences, to overactive gag reflexes, and even to protection of personal space. Some patients cannot tolerate the noise and sights associated with medical or dental procedures. Patients may struggle with sitting still with their mouths open for extended periods of time during complex procedures. Commonly, individuals are embarrassed to have anyone look inside their mouths because the condition of their teeth and gums is so bad. Finally, we all fear pain. And while modern dentistry is nearly pain-free, some people still associate the two. If this is the cause of your dental anxiety, a simple chat with your Smart Smile Dentist might be enough to banish your anxiety! Talking with your dentist is a critical step in beating dental anxiety. Modern dentistry can be almost painless. Therefore, it’s worth taking the time to discuss your fears — and potential treatments — with your dentist. You can feel more in control if you take part in decisions about your treatment. Agree on a hand signal you can use if you want everything to stop right away. This will give you a sense of control and can help to lessen your anxiety. One way to reduce stress during a dental appointment is to distract yourself with something more pleasant. Music is one excellent option. Guided imagery — Imagine having a pleasant experience or being in a soothing place. Deep breathing —Deep breathing floods the body with oxygen and other chemicals that relax the central nervous system and reduce discomfort. Progressive relaxation — Conciously try to relax each muscle in the body. Progressive relaxation reduces muscular tension, which can help to reduce pain. Sedatives relax the central nervous system. This is different from analgesics, which block pain. Sedatives help people feel calmer and more relaxed. Discuss these options with your Smart Smiles dentist. Smart Smile Dental Can Help! There are various effective options to fight your anxiety and make your dental visit a pleasant experience. One of these options at Smart Smile Dental is sleep dentistry. Sleep dentistry minimizes patient’s discomfort during treatment. In sleep dentistry the effect of sedatives will make you feel drowsy and relaxed but you will remain awake. Sleep dentistry can be used for any simple or complex dental procedures from dental cleaning up to surgical procedures. This method is now popularly used in the field of dentistry to help manage dental phobia and anxiety as well as reduce pain and discomfort during the dental procedure. Dental anxiety should not hold you back from receiving the care you need. At Smart Smile Dental, we offer solutions for your dental care that include managing your dental anxiety. Our advanced sleep dentistry procedures will make you feel comfortable in our dental chair. We administer comfortable and safe sleep dentistry procedures to give you a pain-free dental experience!